The index opened flat to negative and stayed weak with huge liquidation seen from the morning. The index closed weak around the lows of the day at 7235.65, huge loss of 94.00 points. It was the biggest loss for a day in more than 3 months. The broader market was also weak, with 670 advances to 905 declines. Expected range for the series right now seems to be 6800-7500. 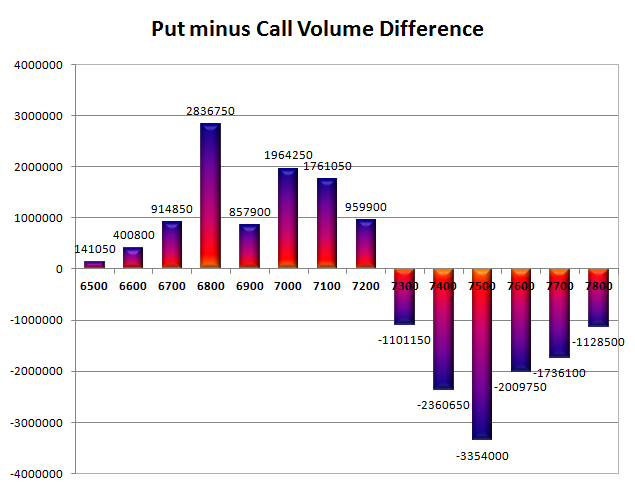 Call option 7200-7800 added 44.14 lacs huge amount of OI with small addition also seen at lower levels. Put option 7300-6500 added 35.77 lacs huge amount of OI with not much change in other strike prices. 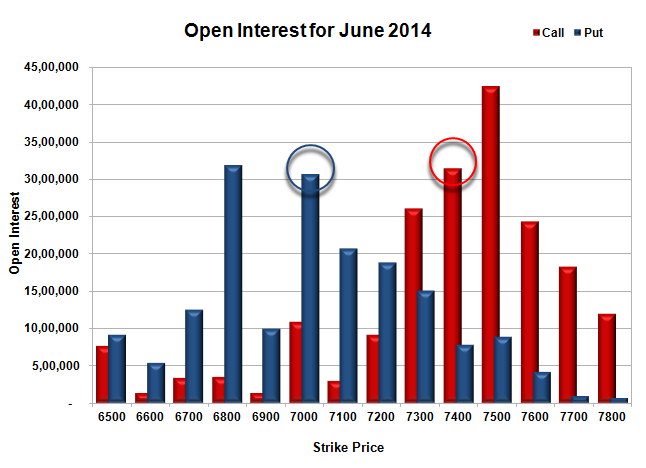 Nifty Open Interest is at 1,53,91,950 up by 40,33,250, with decrease in price, most probably short build-up. 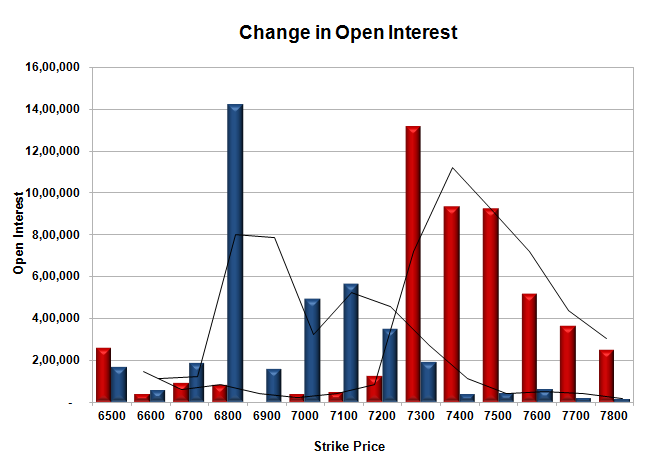 Bank Nifty Open Interest is at 25,93,375 up by 8,90,625, with decrease in price, most probably short build-up. FII’s sold 1.53 lacs Futures, mostly long liquidation as their net OI decreased by 337177 contracts (includes 186078 longs to 189134 shorts for the day) and the average price per contract comes to around 7319.73. FII’s future open contract as on date is 244389. PCR Open Interest (Volume) is at 0.843. Initial support at 7200, with OI of 18.80 and below that at 7000 with OI of 30.62 lacs. Initial resistance at 7300 with OI of 26.11 lacs and above that at 7500 with highest OI of 42.43 lacs. Day Range as per Option Table is 7173 - 7338 and as per VIX is 7172 - 7299 with 7262 as the Pivot.